Kazook designer Mila Samson had the chance to shoot some fun product shots for her husband, who teaches drum lessons at Murco Music School. 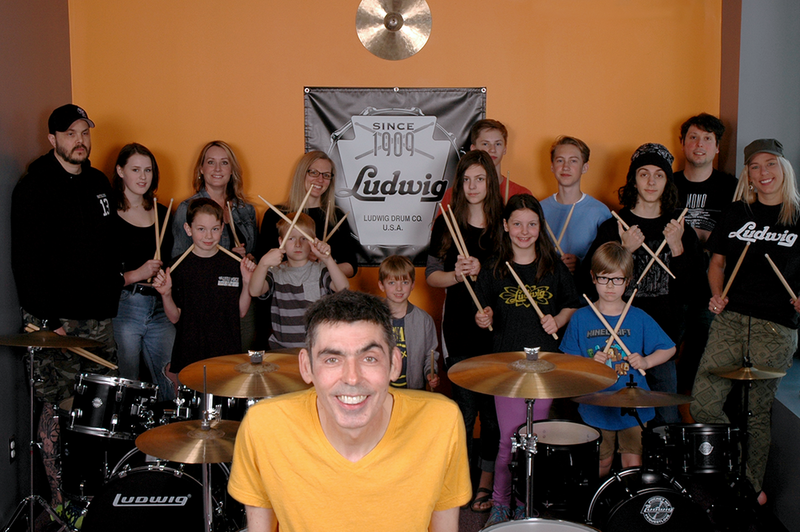 Todd has been drumming all over the world for years and is endorsed by Ludwig Drums. The manufacturer of percussion products is known as the “most famous name on drums” and is celebrating 108 years of business. Pack a room full of Todd’s students with sugar rushes from Glam Doll Donuts and you’ve got yourself a killer jam session. Mila was able to capture the energy from the Ludwig Drum Company Appreciation Day in the photos you will see below. Her tip? Keep it as fun as possible, even when shooting still lifes of cookies.